These seeds must be used daily at the time of cooking. They can be added in some dishes to make them tasty and mustard seeds are good for the health as well. Mustard seeds have three types. Among others, big yellow mustard seeds are the most popular ones. These seeds come from mustard plant. They are native to Asia Minor. 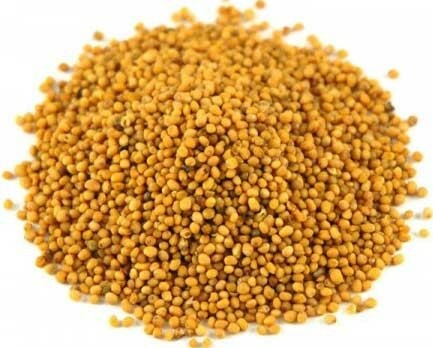 Big yellow mustard seeds are enriched in copper, manganese, omega-3 fatty acids, vitamin B1, and phosphorus. In addition, they also offer fiber, antioxidants, essential and phyto-nutrients to the body. It contains chemicals, which are used to fight against cancer because of anti-cancer effects. It can assist reduce the growth of cancer cells. The selenium is present in these seeds, which can also help you in reducing the signs of arthritis. The presence of magnesium in these seeds can maintain the blood pressure, making higher to normal. It also treats respiratory congestion and migraines. It enhances the immunity of the body. It also aids in digestion and combats against heart disease. It also works on the weight loss and aging. It can help you during the menopause stage. These mustard seeds can be added directly to your food daily to get its complete benefits. The paste from its seeds at home can be used in sandwiches, salad dressings, and hot dogs.